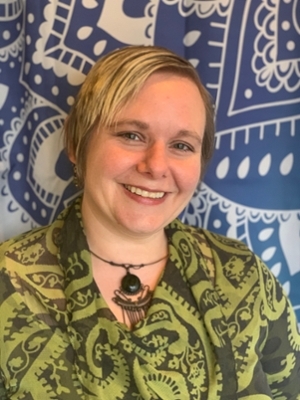 New owner Kendra Sweezey-Errar is a registered nurse and massage therapist, and is currently working as a hospice nurse. She is motivated to continue the mission and values of previous owner Kayci Combs-Lueker. A Holistic Approach will have its grand reopening from 11 a.m.-5 p.m. Saturday, Feb. 16. Throughout the day, they will be offering several mini-sessions on toxin-free living, tarot readings, massages and more. There will be other holistic vendors attending, and there will be raffle drawing for attendees. A community health and wellness center located at 88 S. Main Street in Glen Carbon, AHA offers services ranging from acupuncture, massage therapy, yoga and meditation to educational classes such as essential oils 101 and more. Its goal is to assist the community in incorporating more holistic options by offering services and wellness classes. Combs-Lueker will still be involved at AHA as a resident teacher, LMT, and partner in wellness, but will now have more time to pursue her radio career at SIUE’s WSIE 88.7 F.M. and teach massage therapy. The Illinois SBDC for the Metro East assists start-up ventures like A Holistic Approach as well as existing businesses headquartered in the nine-county region of Calhoun, Jersey, Madison, Bond, Clinton, St. Clair, Washington, Monroe and Randolph. It is funded in part through a cooperative agreement with the U.S. Small Business Administration, Illinois Department of Commerce and Economic Opportunity, and SIUE as a service to Illinois small businesses. Photo: Holistic Approach owner Kendra Sweezey-Errar.